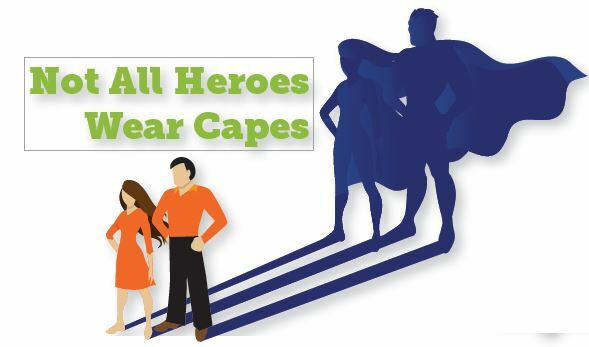 NAMIWalks 2019 Not All Heroes Wear Capes - NAMI Greater Orlando, Inc. - NAMI Greater Orlando, Inc.
And someone is yours. At NAMI Greater Orlando, we see heroes every day as families and loved ones overcome obstacles and live meaningful lives in their journeys to recovery and mental wellness. As NAMIWalks 2019 approaches, we remember the most important part of our mission- why we do what we do. The dollars raised help individuals and families at a core level and help each of us be the heroes we know we can be. Through our educational classes, support groups and advocacy efforts, we never forget that in the end, it is about the people. It is about our children, our parents, our friends and ourselves. So this year, we challenge you not only to set new records in NAMIGO’s fundraising campaign, but to live a life looking for the hero in others…and being one.